It was our Keralite friend who literally sold Vythiri to us. 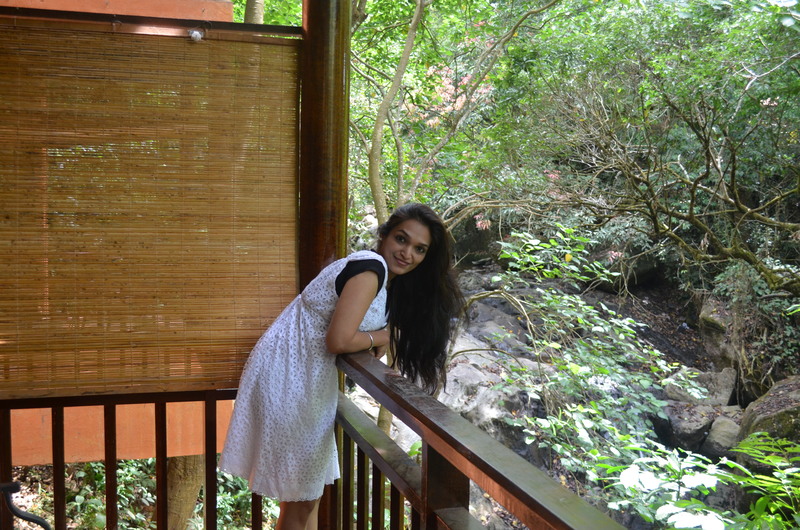 It was also the first time when we heard about Kerala’s hidden treasure, Wayanad, the tropical rain-forest. The guy painted the entire picture in such a way that we not only had Wayanad on our Kerala itinerary, but we also booked us for 2 nights at Vythiri. 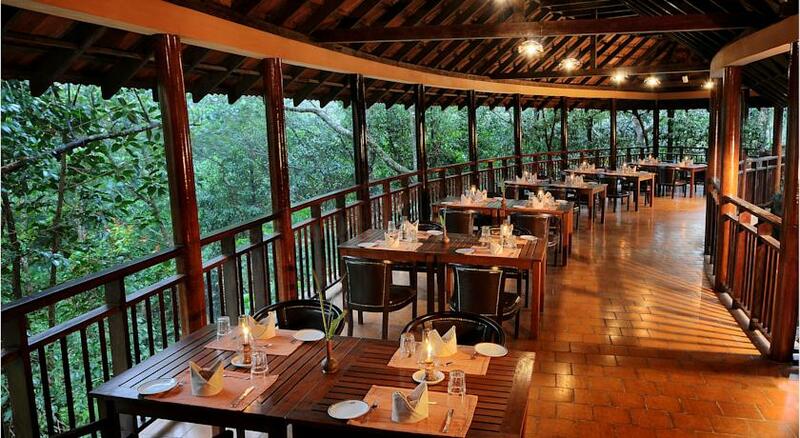 Vythiri is an exquisite, ecofriendly jungle resort situated in the heart of Wayanad. Its in the interiors, 3 kms from the main road. 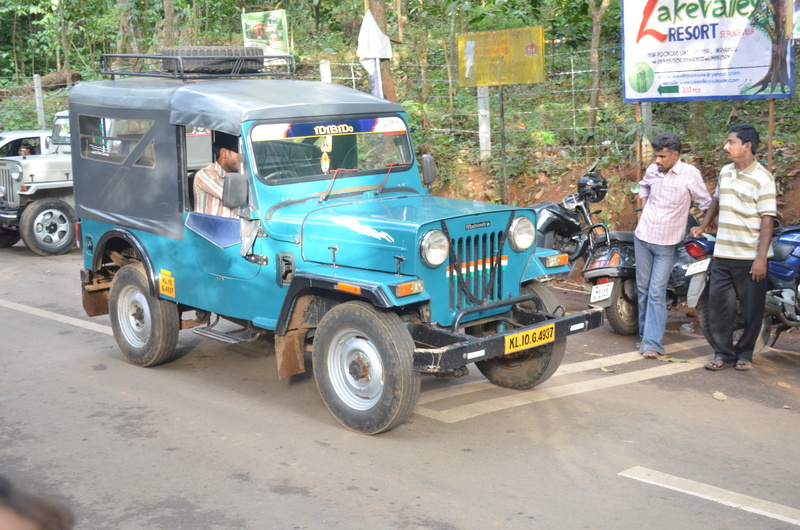 We had the resort vehicle pick us up and it was a bumpy ride in the erstwhile Mahindra jeep. I wholeheartedly enjoyed it. 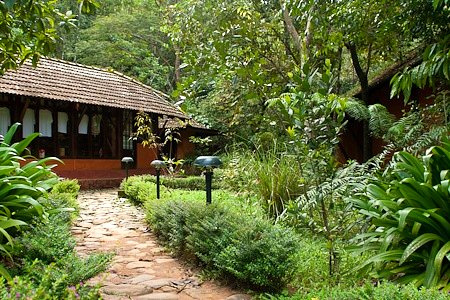 Blanketed by the lush green rain forest, the resort is in perfect harmony with nature. Once you are in there, nature is all you have at your luxury. Sounds of flowing streams, fluttering of leaves and chirping of birds was I all that I heard for those 2 days. Its like, the ringtones of your cellphones are forbidden here in this realm of nature. Rapture explodes, the moment you enter. 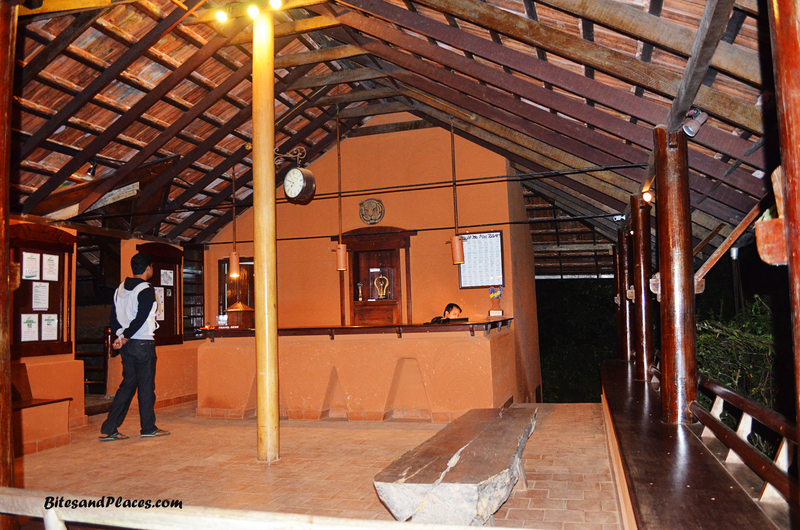 The reception oozes an old world charm with the tiled roof and seating made out of ruggedly cut log of wood. There’s a small wooden bridge which leads to the reception area. The natural pool under the bridge is home to hundreds of colourful Koi fish. 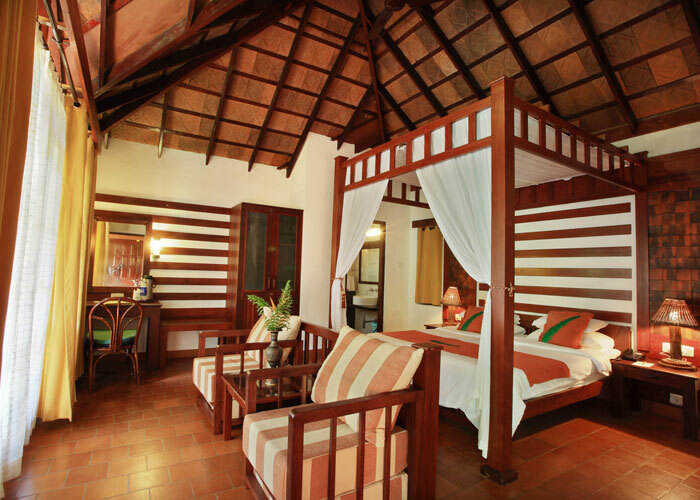 Accommodation: They have 5 categories of rooms – Tree House, Honeymoon Villa, Pool Villa, Vythiri Haven and Vythiri Habitat. We’d booked the Habitat Room. There are only 4 rooms in this category. The room is spacious with an exclusive balcony which opens to the view of the stream flowing below. Pale warm colours with wooden flooring and interiors blend well with the natural surroundings. Can anything be more blissful than standing in the balcony, wreathed in the cool jungle breeze, listening to the humble songs of the stream and spotting varieties of those beautiful birds you’ve never seen before. Could I be any luckier! 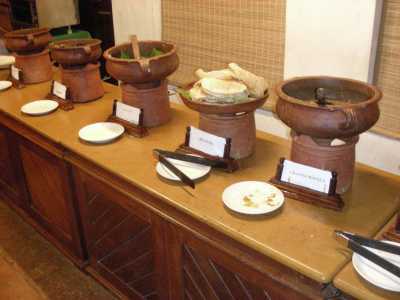 Dining: The buffet is an expansive scrumptious spread served in earthen pots. The resort kitchen whips up a host of local culinary specialties, many of which are unseen and unheard. There are variety of pickles and salads. Payasam is a must in every buffet. Its the food to feed your soul! Dining area is massive. Look at the lush green surroundings! You literally eat out of the hands of nature, don’t you! I remember talking to the receptionist, asking her about the sightseeing in Wayanad. To which she humbly replied, “Mam, our resort is so vast that you’ll need an entire day just to explore the resort. The second day you can do the sight-seeing”. She did mean what she said. The resort has a host of activities to do and explore. 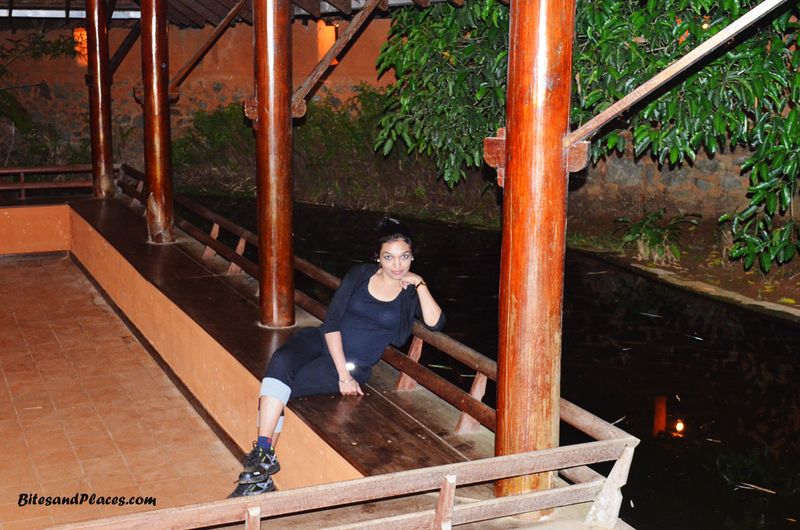 We spent one whole day just to explore the resort and then relaxed in the evening to soak it all in. There are an array of other options as well. You can start your mornings with timed Yoga sessions. Saunter around snapping as many birds as you can or laze by the stream and get mesmerized by its frothy white waters. If you are in luck, you may even find a Nilgiri Langoor. Feeding monkeys is strictly prohibited here. 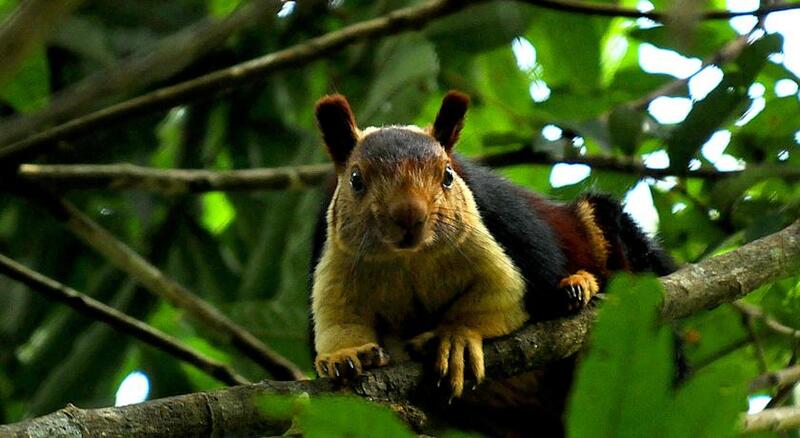 Visit the nearby waterfall or take a leisure walk around spotting the famous and the resort’s very own Malabar Squirrel. This is a must-have shot and the coy lady does oblige by posing, although hidden amongst the greens. You need a real good lens to snap her. They have an hour long informative session in the evening at 6. This is a slide presentation which takes you through the area’s flora and fauna, the traditions, culture and festivities of the place. 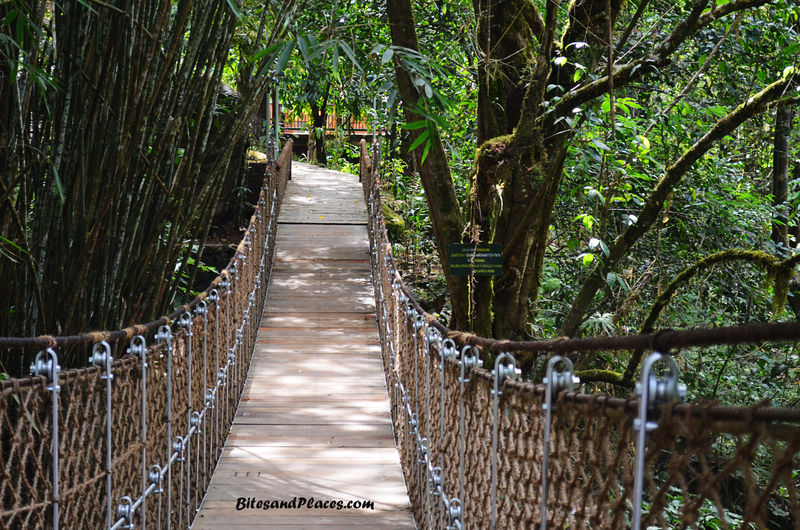 The resort also arranges a guided trek to the tropical rain-forests in the surrounding area. All done and explored? 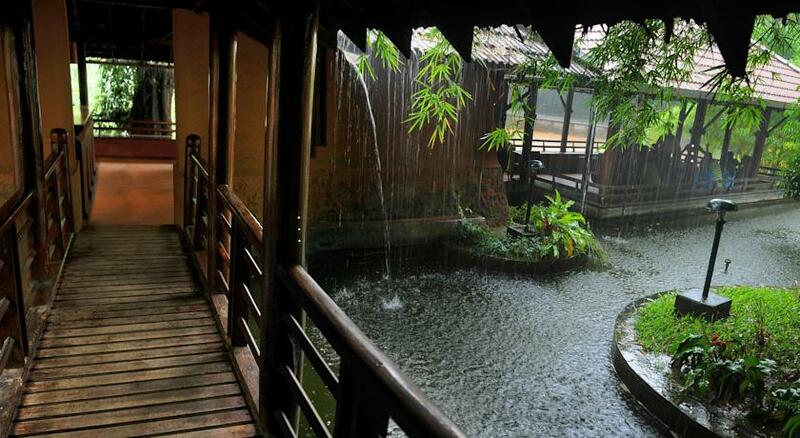 Just sit at the natural pool area and watch the rain-drops hitting and disappearing in the pool water. Amenities: The resort is well-equipped with spa, health club, ayurveda centre, swimming pool, games room, kids park, multi-cuisine restaurant and coffee shop. There’s also the souvenir shop from which we bought T-shirts and some curios. Lastly, a special mention of the sturdy jeep that ferried us. These jeeps have been the thing of the past…long forgotten. Posting the pic here. Nostalgia! I wholeheartedly thank our dear friend for introducing us to Vythiri. The ambience, hospitality, room, amenities, food… every single moment at the resort was worth every penny paid for.